Attending the AIPAC Chicago Annual Event as a student leader representing the University of Illinois at Urbana-Champaign (UIUC) was a privilege and an empowering experience. 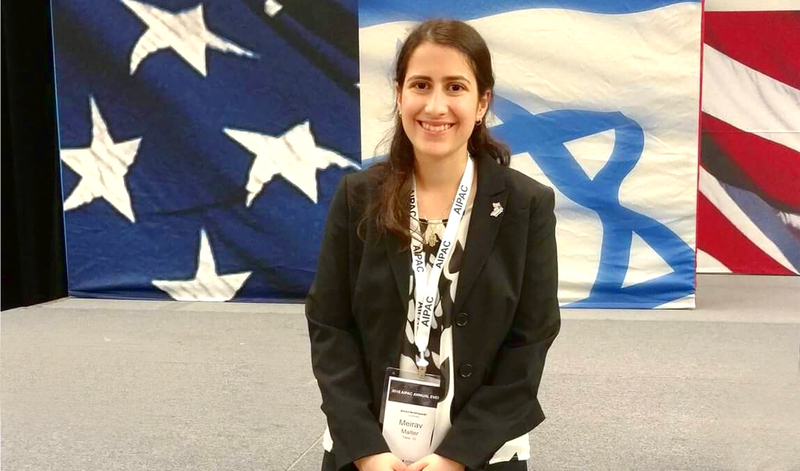 In total, there were 12 student leaders invited to the event to represent the AIPAC connection to Midwest universities and the Chicago pro-Israel community. Despite some challenges faced by the pro-Israel student community this past year, the recognition we received at the Annual Event, reminded us that our efforts on campus have not gone unnoticed. For example, over the past academic year, IlliniPAC raised hundreds of dollars for the Israeli non-profit Save a Child’s Heart to help save the lives of children all over the world. IlliniPAC also released an end of year leadership statement that was well received by students and the administration. In addition, IlliniPAC sent 34 student leaders to the 2018 AIPAC Policy Conference in Washington D.C., and members worked on both Democratic and Republican congressional campaigns while strengthening the Illinois-Israel relationship. We were reminded by AIPAC Chicago Director, Lauren Waldstein, that our activism on the UIUC campus and at other universities is invaluable as we have educated state senators and congressmen about the importance of a strong US-Israel relationship. We have also maintained BDS-free campuses, and created coalitions amongst student organizations to educate our peers (future leaders of America) about Israel-related issues. Along with this, Elliot Brandt’s energetic speech, reassured us that we have a strong, ever-growing, and immensely supportive AIPAC community behind us. For me, the highlight of the evening was getting the chance to hear from Admiral James Stavridis, former Supreme Allied Commander of NATO and current Dean of the Fletcher School of Law and Diplomacy at Tufts University. Admiral Stavridis is an example of someone who embodies the idea of bipartisanship which is also a guiding principle of AIPAC. It was fascinating to learn about his contributions to U.S. national security, the origins of his close relationship with Israel, and his being “short-listed” for top administration positions by both presidential candidates in the 2016 election. The Admiral reassured the attendees that the US-Israel relationship is as strong as ever because there is no substitute for an ally like Israel which is committed to democracy, maintaining security in the Middle East, and shares core values with the United States. After his talk, Admiral Stavridis stayed and mingled with the audience. He was very approachable, heard about our involvement with AIPAC, and was glad to answer all our questions. Thank you to the AIPAC Chicago community for including us in this wonderful event and for continuing to support our pro-Israel activism on campus. Thank you Admiral Stavridis for your service, your commitment to growing the US-Israel relationship, and for taking some great pictures with us! We hope to see even more student leaders at next year’s event!